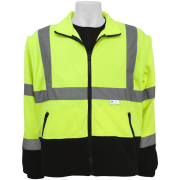 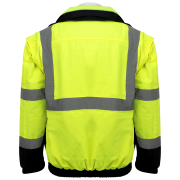 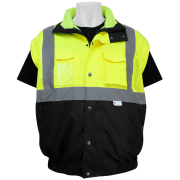 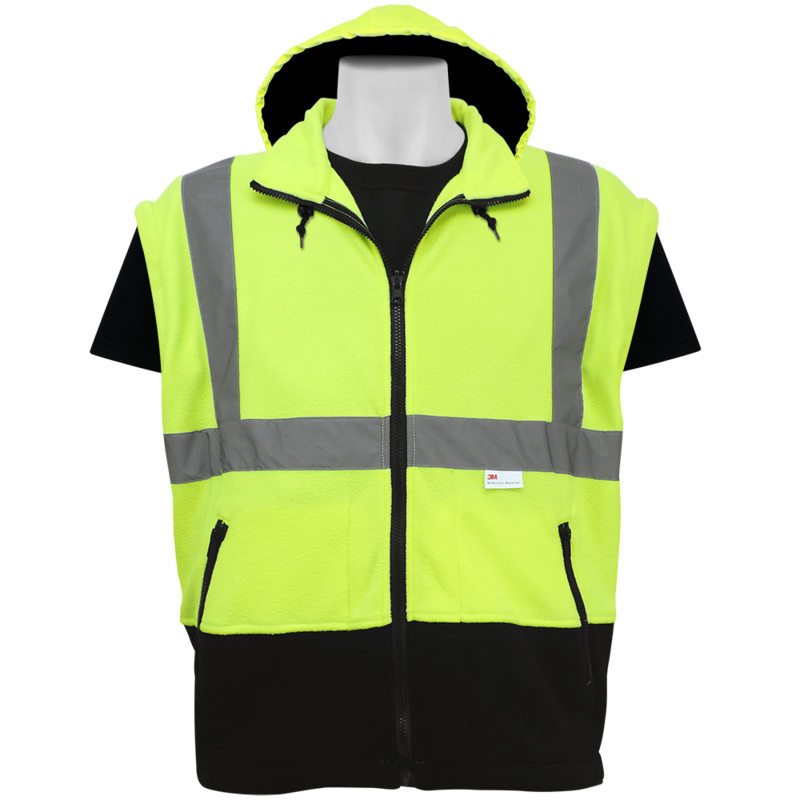 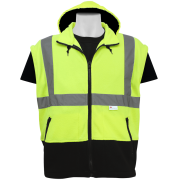 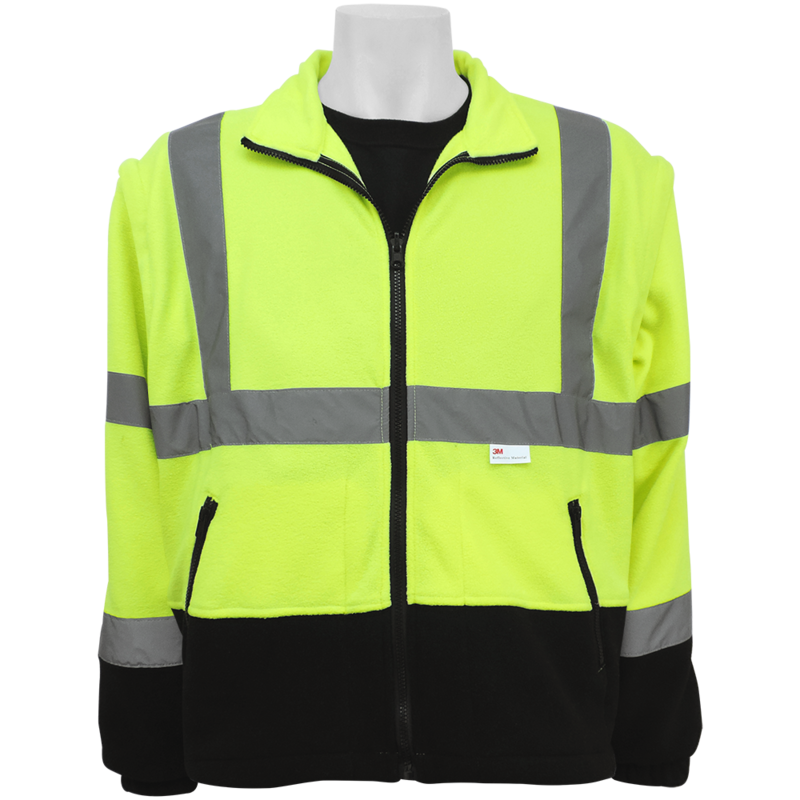 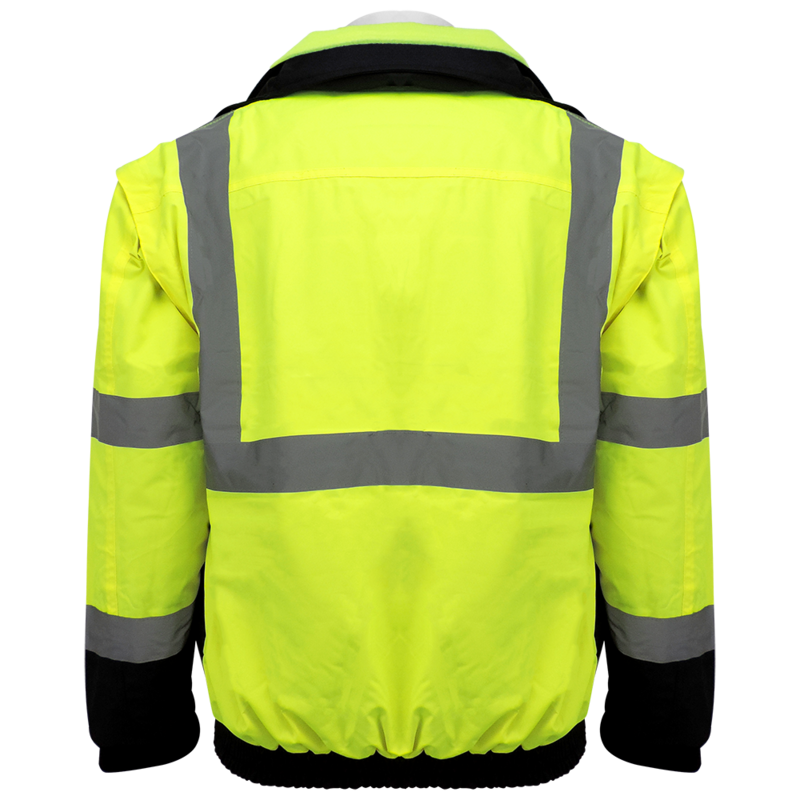 Eight-In-One ANSI class 3 high-visibility yellow/green winter bomber style jacket with a removable fleece interior. The shell and inner liner both feature zip-off removable outer sleeves. 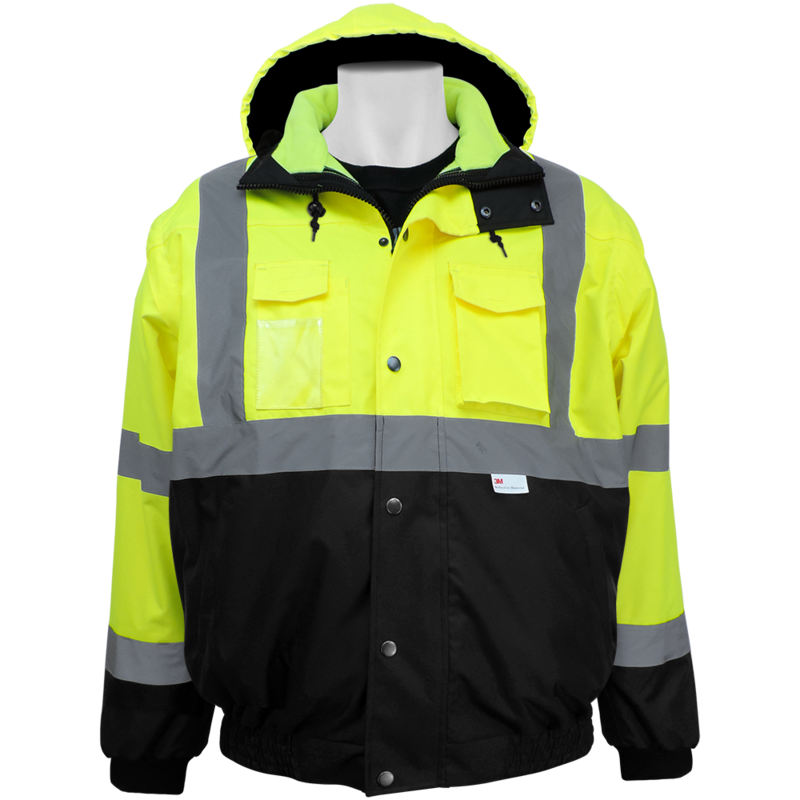 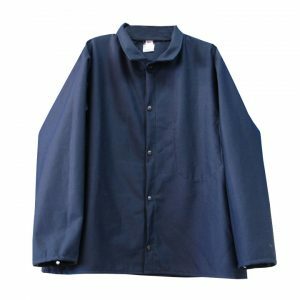 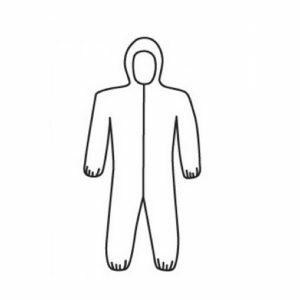 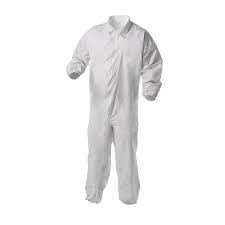 SKU: GLO-B2 Categories: High Visability, Protective Clothing, Winter Gear Tag: cold Manufacturers: Global Glove and Safety.